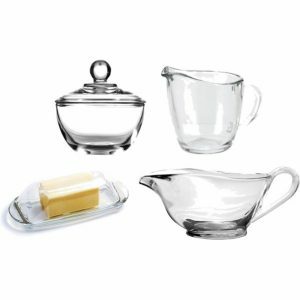 Bundle of: BIA Cordon Bleu White Porcelain Butter Dish with Lid and Knob, Sugar Bowl with Lid, and 8 oz Milk Creamer Pitcher. These beautiful whitewares are made of high quality porcelain and are extremely versatile. They go with any décor. This white porcelain sugar and creamer set and matching butter dish are perfect for everyday use but elegant enough for a dinner party. This white ceramic Bia Cordon Bleu Butter Dish with Lid and Knob keeps butter soft and spreadable and ready for use at a moment’s notice. 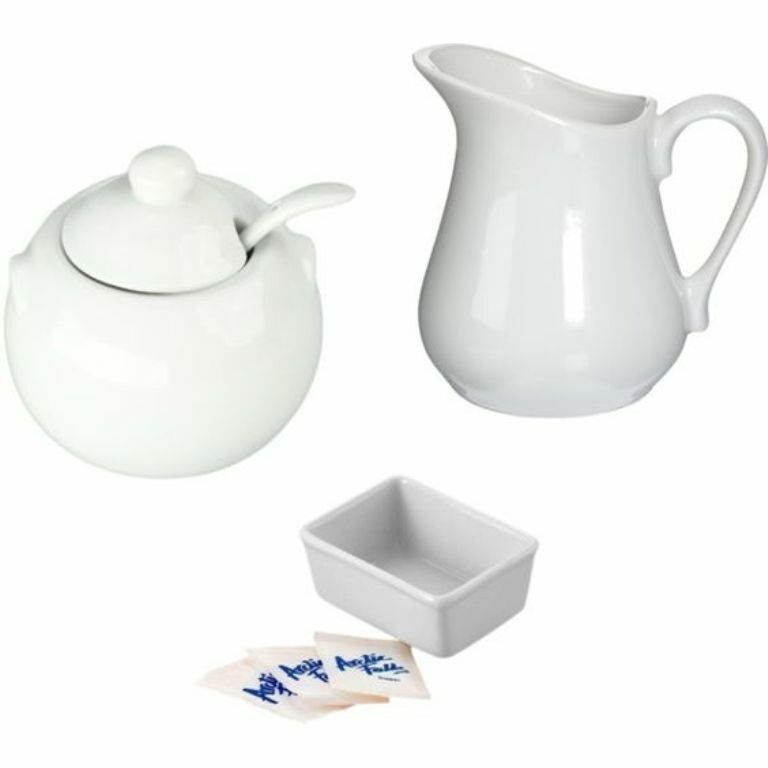 Glazed white 8 oz small ceramic pitcher is an elegant way to serve cream for coffee or tea. 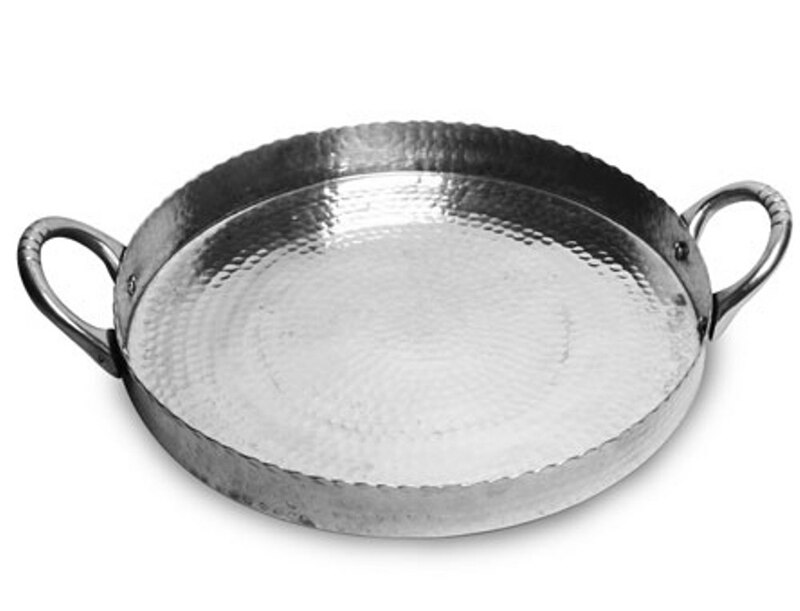 Also works great for warming up maple syrup, gravy, sauces or melting butter in the microwave. BIA Cordon Bleu White Porcelain 8 ounce Covered Sugar Bowl with a Spoon completes the Creamer and Sugar Set and is perfect for everyday use or special occasions and holiday entertaining. All Porcelain pieces are oven, broiler, microwave, freezer and dishwasher safe. The 6 Cup White Ceramic Tea Pot with Stainless Steel Infuser from HIC is a traditionally shaped, high-fired ceramic teapot is the perfect pot for a table of friends! The crisp white scratch-free glaze resists staining, odors and cracking. The teapot features a 18/8 stainless steel infuser basket that rests under the lid and can be used with loose or bagged teas. The fuctional capacity is about 32 oz. and all pieces are dishwasher safe. 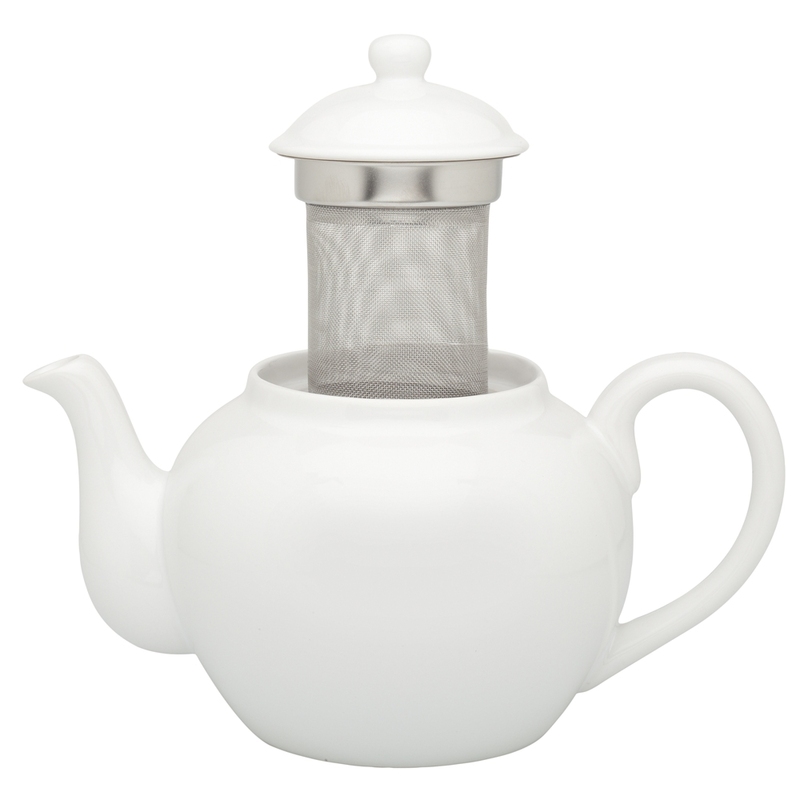 Harold Import’s White Ceramic Teapot comes with a Stainless Steel Infuser for steeping loose teas. High-fired ceramic teapot has scratch-free glaze, is durable and resists staining, odors and cracking. Infuser, made from 18/8 stainless steel, rests inside the pot and produces a more flavorful brew. Large, easy-grip handle allows more control when pouring; great for mulling spices too. 6-cup, 32-ounce capacity; easy to fill and clean; microwave and dishwasher safe. 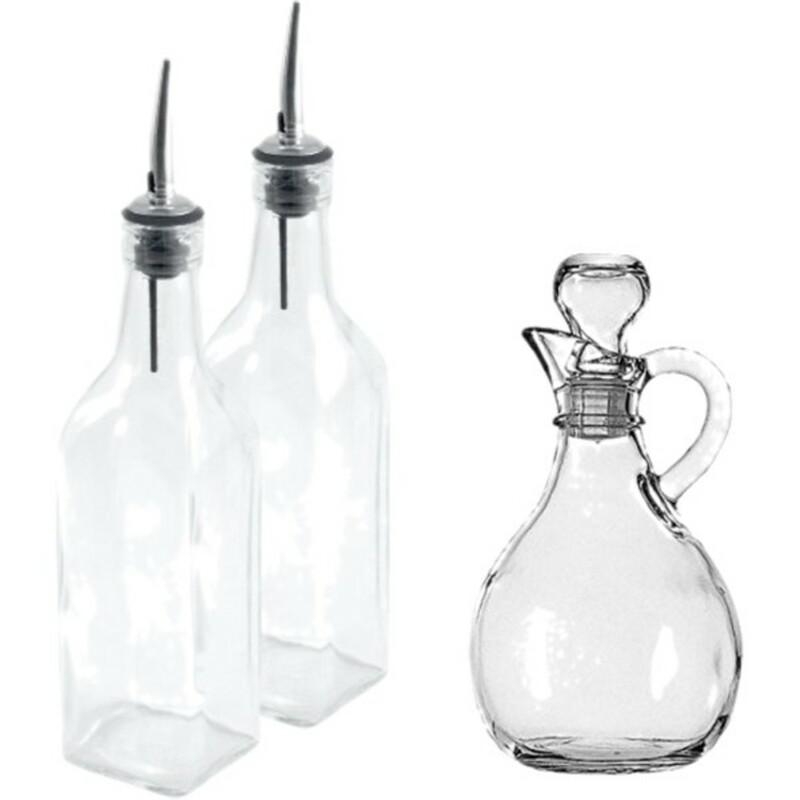 Keep your olive oil handy with these oil or vinegar bottles with spouts and cruet with stopper. 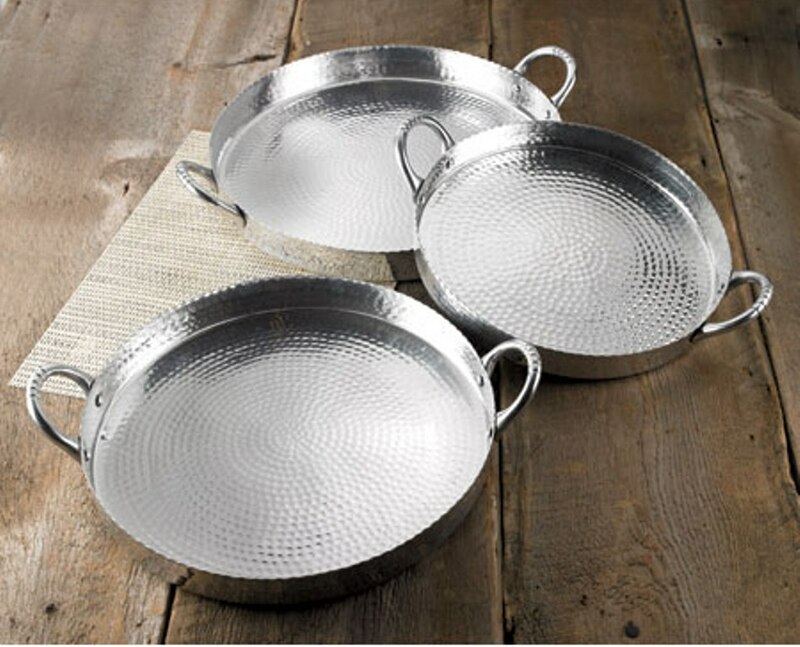 They keep oil or vinegar fresh and within arms reach while cooking and are dishwasher safe, making clean up a breeze. 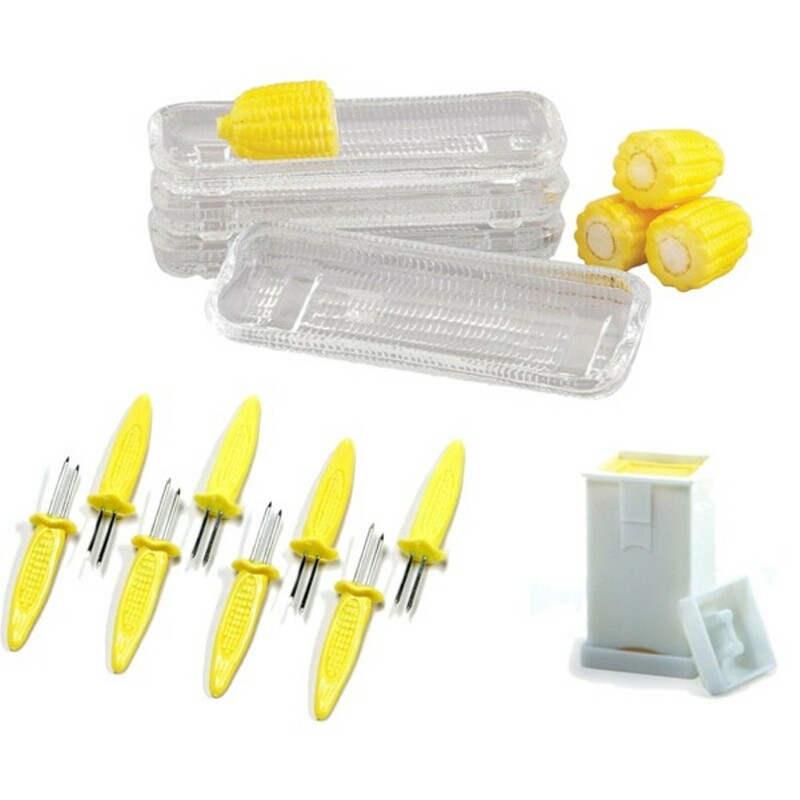 A great set to have for in the kitchen or on the table! Oil and Vinegar Cruets are made with glass construction and have a square base and precise stainless steel pouring spouts; 3 inch diameter and 10.25 inches tall. The attractive glass cruet bottle is just right for vinaigrette’s and oil and vinegar featuring an airtight glass cruet stopper. Capacity: 11 oz. This handy set will keep your oil and vinegar fresh and look great on your counter top or table. 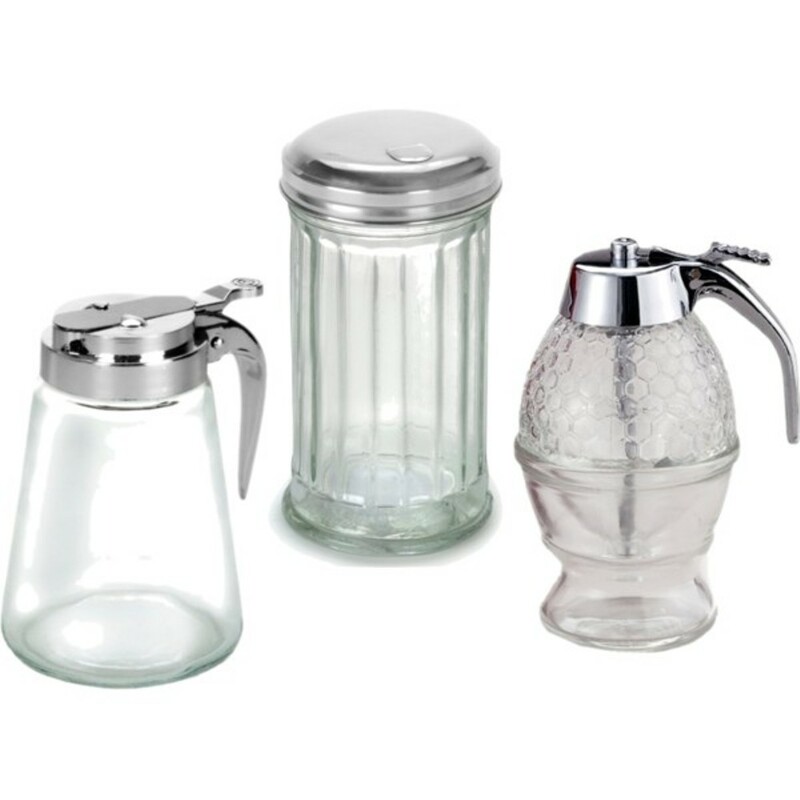 The Glass Syrup Dispenser with a chrome finish, plastic lid features an easy pour spout which screws onto the glass pitcher base and makes it simple to pour anything without making a mess. Perfect for restaurants or home use, you’ll love the simple quality of this convenient syrup pitcher. The honey dispenser is a great tabletop item for those wonderfully slow Sunday morning feasts! Keep honey in the jar year round and pull on the trigger for the perfect pour into your boiling lemon and water or favorite cup of tea! You can also use this for your favorite brand of maple syrup. The unique center spout with trigger release pours cleanly and stays neat. The glass stand holds the dispenser when not in use. You can also fill the glass stand with warm water to keep the honey or syrup warm at the table. 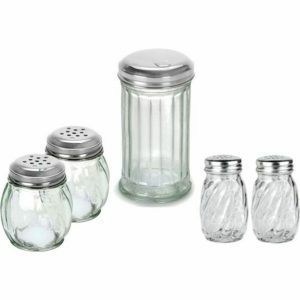 The Sugar Shaker is perfect for serving sugar with coffee or tea, baking, and tabletop service. Serve your guests in style with this beautiful and functional dispenser set, the perfect addition to any table. Glass syrup pitcher with dispensing lid holds up to 8 ounces of syrup or other liquids. Easy pour spout makes it simple to pour anything without making a mess. Use as pancake syrup dispenser, agave syrup dispenser, sugar syrup dispenser, maple syrup dispenser, condensed milk dispenser and more! Honeycomb design glass and honey dispenser has a unique center spout with trigger release. Pours cleanly and stays neat. Includes stand for convenient storage and can be filled with warm water to keep syrup and honey soft and warm. Bring some elegance to your breakfast table with this dispenser set! 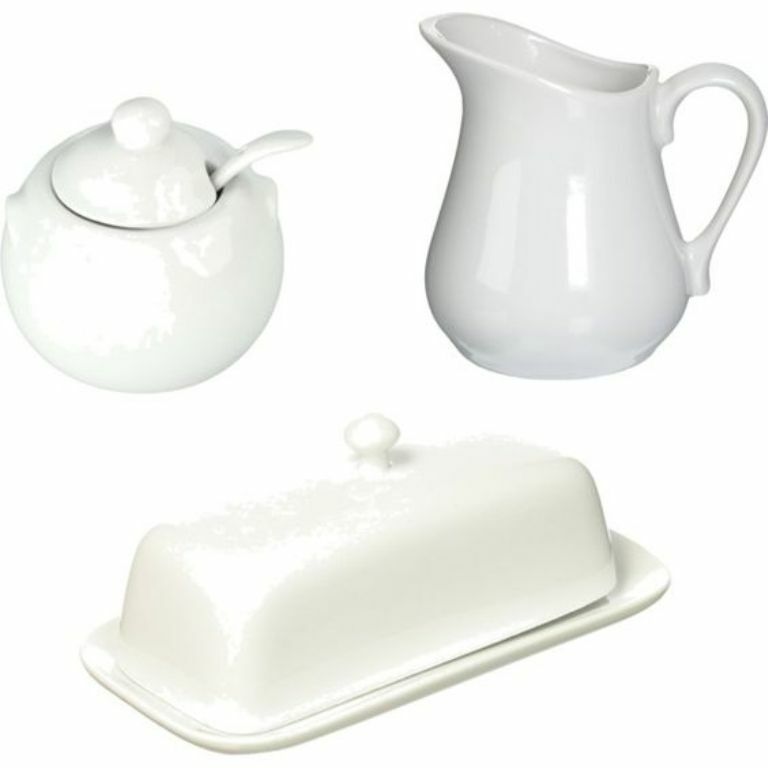 Bundle of: White Porcelain Sugar Bowl with Lid, 8 oz Creamer Dispenser Pitcher and a Sweetener Sugar Packet Holder. Beautiful whitewares are versatile. They go with any décor. This white porcelain sugar and creamer set will match what’s on the table and what you’re having for breakfast, lunch, dinner or a snack plus, it’s also extremely durable. It’s made of high quality Brazilian porcelain. This set will perfectly and beautifully sit alongside almost any spread—from a thanksgiving feast to a crumpet and tea breakfast. Glazed white 8 oz small ceramic pitcher is an elegant way to serve cream for coffee or tea. White Porcelain 8 oz covered sugar bowl with a spoon is perfect for everyday use or special occasions. Use your porcelain sugar packet holder to keep sugar packets and sweeteners organized and handy.able.